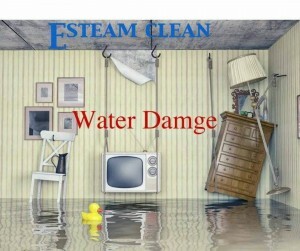 Water damage occurs when water has found its way into abnormal place’s in your home… sometimes it’s from a frozen pipe that busted sometimes it’s a busted water heater or a washer machine malfunction. Whatever the reason you have a problem that needs to be solved. The goal is to prevent further water damage… saturated materials begin swelling as they absorb moisture. As water evaporates it causes an abnormal humidity condition. High humidity can damage some porous materials if allowed to continue. After water damage intrusion, mold and bacterial spores germinate and multiply. Given acceptable growth conditions, one organism can multiply to more than one billion organisms in less than 24 hours. Microorganisms can cause mold damage and degrade indoor air quality. Some microorganisms produce antigens and allergens which cause allergies while others can cause infections and toxic diseases.